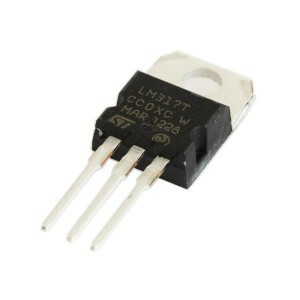 The LM317T adjustable linear regulator is a positive voltage regulator designed primarily to supply more than 1.5 A of load current with 1.2 V to 37 V adjustable output voltage. This device is easier to use compared to fixed voltage regulators since resistive divider is used in selecting nominal output voltage. This adjustable voltage regulator is great for your project because it provides complete series of protection such as thermal shutdown control, internal current limiting, and safe operating area compensation.